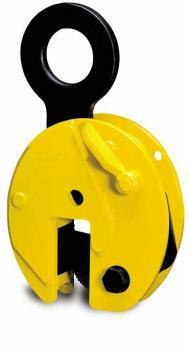 Heavy duty plate clamps with safety lock. These heavy duty clamps are primarily used for transporting sheet metal and steel plates in the vertical position, as well as lifting and rotating through 180 degrees. They can also be used for transporting steel constructions and profiles. 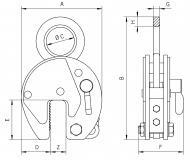 It is recommended to use a pair of plate clamps in conjunction with a spreader beam for long materials which have a tenancy to sag of flex. The jaw is opened and closed with a locking lever. The safety lock spring loads the cam jaw, preventing the clamp from opening even when there is no load. 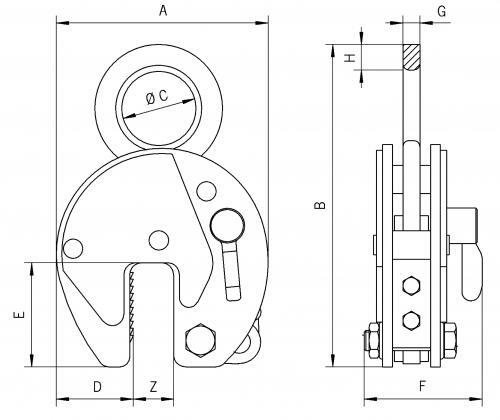 These plate clamps are service-friendly, making it easy to exchange parts, which are readily available. 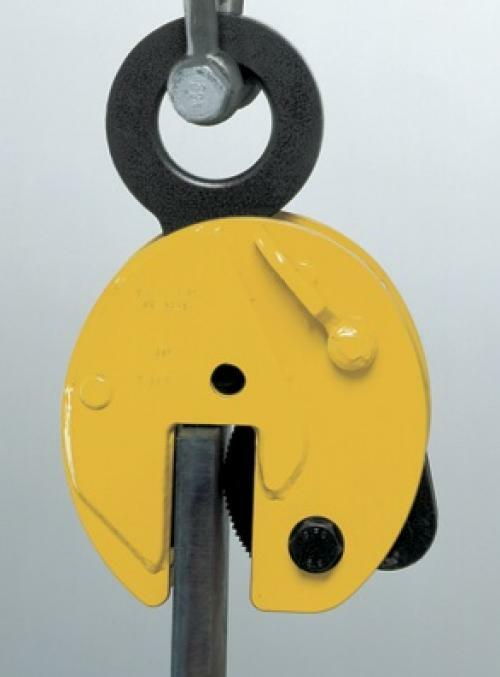 Designed to be heavy duty and robust, all Camlok lifting clamps are proudly manufactured in the United Kingdom. Further to sales of new clamps, we are also able to offer repairs and inspections, please contact our sales team for further information.